Stanley needed help; he owed millions of Naira and he had tried all he knew to do but nothing seemed to work. He was praying and reading his bible when he stumbled on Philippians 4:19 And my God will meet all your needs according to the riches of his glory in Christ Jesus. He knew the bible was true and God was not a liar but he wondered what part he would have to play in getting answers to his prayers. As he prayed, he came across John 1:14 And the Word became flesh and dwelt among us. He began to realise that the word of God was potent and self fulfilling; it could make things happen, all he needed to do was believe the Word. He meditated on the Word and forgot his challenges. A month after, one of the people he owed money gave him a contract that would help him pay all his debts and also make him a decent profit. 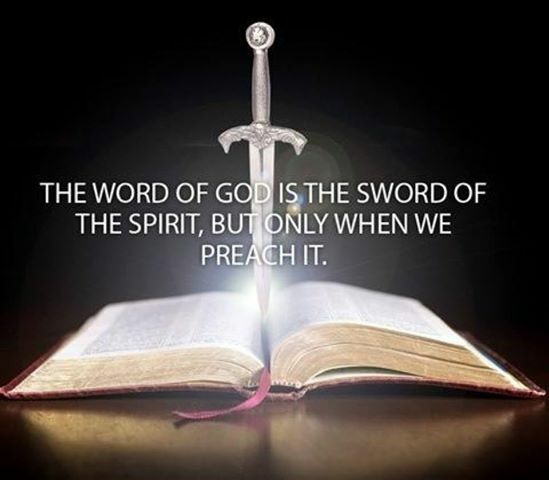 The bible describes the Word of God as the Sword of the Spirit in Ephesians 6:17 and Psalm 138:2 also tell us that God has exalted His word above all of His name. The bible is not just a book with stories, the words are alive.Whenever you quote the Word of God, you can NEVER be wrong and whenever you believe what the Word says, you can never be put to shame. If your boss gave an instruction at the office, it is obeyed, the bible is a book of instructions and promises given by God, He wanted you to hold Him to His words that's why they were documented. Who carries out God's instructions? Angels! Angels are working on your behalf to bring answers to your prayers and the scriptures you have held on to in faith. Your expectation will not be cut off because God does not lie. Happy Sunday.